Welcome to the November edition of our newsletter. Advance Valves also wishes its readers a very Happy Diwali. Popularly known as the "festival of lights", the most significant spiritual meaning is "the awareness of the inner light". Celebrating the 25th year of operations at Advance Valves, we are pleased to announce to our readers and valued clients about the addition of new facilities covering an area of over 5,000 sq. mtrs. Our spanking new Silver Jubilee Plant – Advance Valves Pvt. 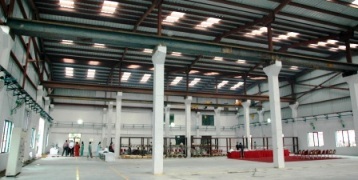 Ltd. (Gagret) was inaugurated on Oct 09, 2010.The facility was inaugurated by the Additional Deputy Commissioner, Dist Una. Machinery from our existing neighboring plant, apart from additional modern manufacturing and testing equipment, will be installed in the coming few days. With the addition of this facility we have over 250,000 sq ft of manufacturing area which boost our capacity and achieve rapid turnaround cycles. Once commissioned, the plant will process about 200 tons of metal per month & will be capable of manufacturing 12,000 valves per annum – giving about 50% boost to our capacity. At full capacity processing tonnage will go up to 6,000 tons (about 35,000 valves) per annum. Advance Valves, whilst meeting the requirements of its clients on a global scale, is and will further generate additional economic benefits to the workers and residents of the region. Secretary to Government of India (Ministry of Petroleum & Natural Gas) Mr. S. Sundareshan recently inaugurated HPCL's prestigious new Black Oil terminal at Visakhapatnam. HPCL Chairman and Managing Director. Mr. S. Roychoudhary, and other dignitaries of HPCL were also present. Advance Valves has supplied large number of High Performance Butterfly Valves including actuator operated valves to HPCL – Black Oil Terminal. HPCL has installed our valves at locations including the Tank Farm area, replacing Gate Valves entirely. This has indeed been a progressive approach to modern and more efficiently performing valves and we are proud to be associated with this prestigious project. The new terminal at Visakhapatnam is the largest exclusive black oil terminal in India and industry's first fully automated Black Oil terminal with a product handling capacity of about 94,000 kL. This project has strategic importance as it creates space for Visakha Refinery expansion for production of EURO IV grade fuel (Diesel Hydro Treatment Unit Project). Mr. Uma Shanker, Advance Valves' Chairman & Managing Director was invited as Chief Guest at the American Petroleum Institutes' Certification & Inspection Meet held at Hotel Taj President, Mumbai on Oct. 06-07, 2010. Mr. Uma Shanker is a serving member of API’s Sub-Committee of Piping and Valves and also been associated with API Standards Committee.